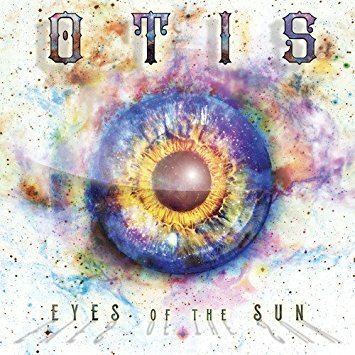 I just had the opportunity to review the most recent release, Eyes Of the Sun, from Otis and it's blues rock with a swift kick. Opening with funky rocker, Change, Otis ( Andrew Gilpin on drums and vocals, Steve Jewell on guitar and vocal, John Seeley on bass and vocal and Boone Froggett on vocal and guitar) cuts a broad swath with their southern flavored sound. Always maintaining a solid bottom and well blended backing vocals, this band makes it's living on strong lead vocals, a power packed sound and cool slide. On Blind Hawg, lead vocalist Froggett kicks it up another notch with throaty vocals and full bore guitar tones, a rumbling bass line and power drums give this track it's signature and cool slide work it's signature. Cool drone note intro over rim shots gives Home a Lynyrd Skynyrd meets Van Halen feel with a definite southern rock swagger. One of my favorite tracks on the release is Shake You with stinging guitar riffs and a great rhythmic pace. Bluesy ballad, Turn To Stone, has a real nice melody and the edginess of Frogett's vocals give it a certain rawness. Complex guitar tones and blues bends in tandem give it a distinct familiarity yet freshness. With Steppenwolf attitude and a gritty edge, Lovin' Man is a great blues rocker with finger in your chest guitar bite. Very cool. Wrapping the release is Let Your Love Shine Down, an R&B based track with warm Hammond work by Eddie Stone, Dickey Betts influenced guitar duet and backing vocals by Sandra Dye and Bianca Byrd. Certainly one of the universally appealing tracks on the release, this could easily get cross station airplay. A solid closer for a solid release.